Party Center Software invited us to join them for their webinar on August 26, 2014. The webinar focused on why mobile friendly design matters for businesses in the family entertainment industry. Our goal was to explain how your business can boost revenues and attendance by improving the user experience on your website and party booking system. Party Center Software and TrustWorkz often team up on projects in order to provide our clients with the best possible Internet experience, so we put together a presentation and shared some of our insight. 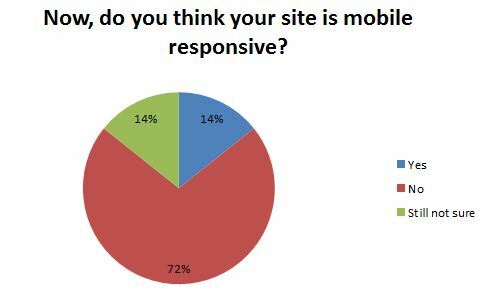 Before we began the webinar, we took a poll from everyone in attendance to see whether or not their websites were currently mobile friendly. When we finished the webinar, we asked our attendees the same question again. 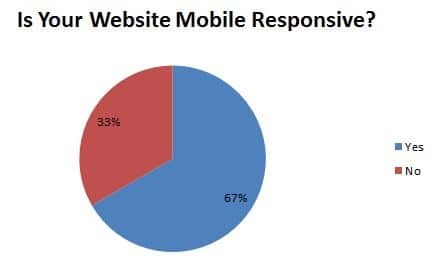 As you can see, most people think that they have a mobile friendly website when the truth is just the opposite. Watch our webinar to find out why mobile friendly design matters for your business. Additionally, we have made our PDF of the presentation available for your to share or download. Mobile Friendly Web Design – Webinar – Mobile Responsive Design from TrustWorkz, Inc.